Fitness is a lifelong road and we're a community dedicated that journey. Favourite class/exercise: The variety is what keeps me interested and inspired. I enjoy all the classes, but I love the camaraderie of the early morning group that shares sleepy eyed, sweaty workouts that set me up for my day. Ulrich’s enthusiastic email where he provided a You Tube link to “44 best burpee exercises” was a favourite (to watch). 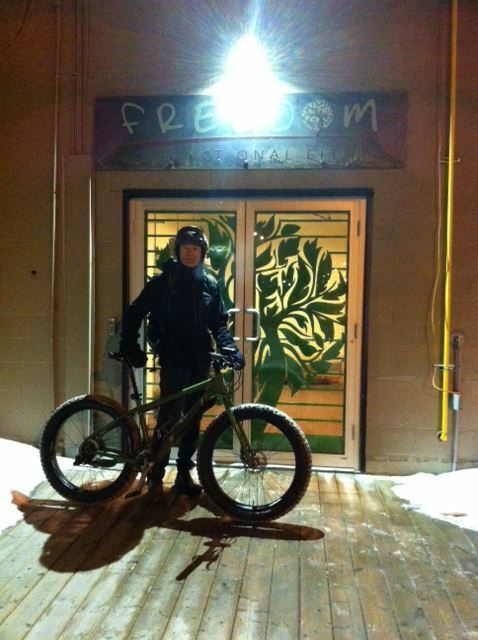 Favourite Sport/Fitness accomplishment: Challenging myself, and having a lot of fun, on our regular 2+ hr fat bike rides Tuesday nights all winter long with the Fat Tire Brigade. Paul always shows up to class with a great attitude no matter how cold, or early it is. He makes every new member feel welcome, and makes class more fun for everyone!